No McWhopper for now. Well tried Burger King. 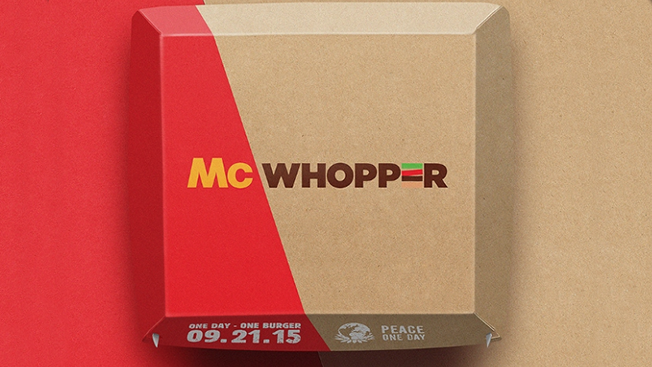 Burger King sent out a proposal for “Peace One Day” to McDonald’s. A proposal to co-create, for the first time ever, just for one day, the McWhopper! What a stunt! It was very well done indeed. It totally took McDonald’s by surprise. Y&R in New Zealand, Code & Theory, Alison Brod Public Relations, The David Agency, Rock Orange, Turner Duckworth and Horizon made it all possible for Burger King. It was a crazy idea to pull off. Burger King got a huge mileage out of it. And as we all waited for McDonald’s to respond, we had already started imagining how it would all pan in Atlanta on 21st September 2015. It was truly a mouth-watering proposal for the Big Mac and Whopper fans for sure. McDonald’s has rightfully responded by saying not interested. After all, in all honesty, it doesn’t make the world a better place. Burger King could have thought of something more meaningful by coming together, even if it was just for a day. While it created the buzz, Burger King actually missed out on the opportunity to co-create the McWhopper with McDonald’s to leverage a positive impact, globally. Imagine something that would have put McDonald’s in a spot for saying “no”. Thus creating a win-win situation for Burger King. And more so, showing the world – the power of advertising.